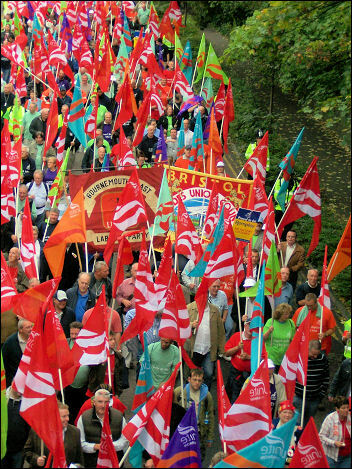 On Wednesday 30th November, probably millions of public sector workers will take industrial action in opposition to the ConDem government’s attack on their pensions. From nurses to teachers, from local authority staff to civil servants, this promises to be a dramatic statement of rejection of the government’s plans to make public servants work longer, pay more into their pensions, and receive less when they retire. The government spin has been all about ‘gold plated’ public sector pensions, but in reality, the average public sector pension (median, i.e. the one that 50% will receive) is a paltry £5,600 per year. Not even copper plated, let alone gold plated. The government is trying to divide and rule, by pointing to the private sector, where most workers are not in inflation linked pensions, as the model for the public sector. It has long been an attraction of public sector employment that although the pay is lower than in the private sector, at least the pensions were reliable. Indeed two in three private sector workers have no workplace pension at all. These workers without a pension should not direct their anger at public sector workers, but should be livid at the extraordinary costs of providing pensions' tax relief, with two-thirds of the £30 billion bill going to higher rate taxpayers. This latest assault on public sector pensions comes after the government reduced the rate at which pension’s rise, by moving from the Retail Prices Index (RPI) to the Consumer Prices Index (CPI), which excludes housing costs, and generally runs at about 1% less than RPI. Whilst at the same, the government refuses to do anything about pay, bonuses and the pension arrangements of those in boardrooms of private corporations, even the banks, some which are publically owned, and most of who received bail outs from the public purse. But we are well used to this kind of hypocrisy from the government, where everything possible must be done to encourage the so called ‘wealth creators’, who are really responsible for creating chaos and poverty in our economy, but are revered rather like rock stars. I’ve never understood why rich people need to be paid more to encourage them to work harder, but poorer people need to be paid less. 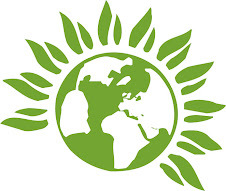 The Green party supports public sector workers in this fight for fair treatment and our two London Assembly Members, Jenny Jones and Darren Johnston will not be going to work on 30th November, as a statement of solidarity with those taking action. There is a march in London, starting at 12.00 noon from Lincoln Inns Field to a rally at Victoria Embankment, plus a protest at the GLA building at 12 noon also. There are hundreds of events planned all over the country on the day, check here for details. Locally, there will be a rally in support of the industrial action at the College Of North East London (CONEL) at 10am on the day and Haringey Alliance for Public Services (HAPS) is intending to visit picket lines around the borough, to give support to striking workers. Please join them as it is good for morale when the public shows support for their cause. There is also a protest at Haringey Civic Centre, beginning 12.00 noon. Really useful post Mike - cheers! Thanks Jim. You're sadly missed in blogland you know.